It wasn’t that day, but the students’ response is an indication how popular the clubs – held every other Friday during each trimester – are with students. CLUBS, as the project is formally known, stands for Community Learning Unique to our Building and Students. The idea is that students can pick out topics – outside the regular school subjects – that they are interested in and learn about them from members of the community. During the fall trimester, for example, clubs included cooking, yoga, STEM (science, technology, engineering mathematics), books, community gardening, hip-hop dance, African drumming, soccer and filmmaking. The young filmmakers, working with students from UWM’s docUWM are actually making a documentary about the program. 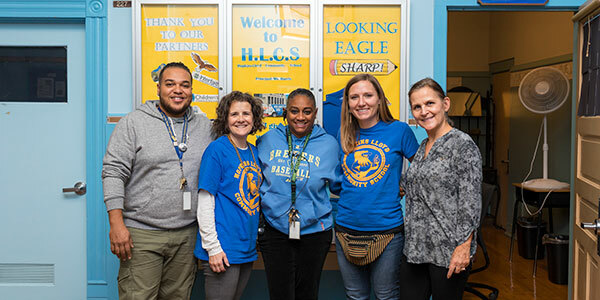 Evans, an assistant professor of early childhood education in UWM’s School of Education, is the culturally responsive facilitator for Hopkins Lloyd, working with a team from the school as part of a $5 million federal grant. 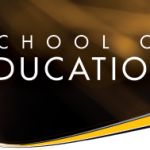 The three-year grant, in partnership with the Milwaukee Public Schools, is from the U.S. Department of Education’s Supporting Effective Educators Development program. 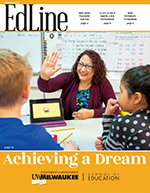 The project, which includes 12 Milwaukee Public Schools, is designed to help foster culturally responsive teaching, approaches that educate teachers for increasingly diverse classrooms. “The clubs are one of our vehicles to develop teachers’ culturally responsive practices,” says Evans of the approach at Hopkins Lloyd. 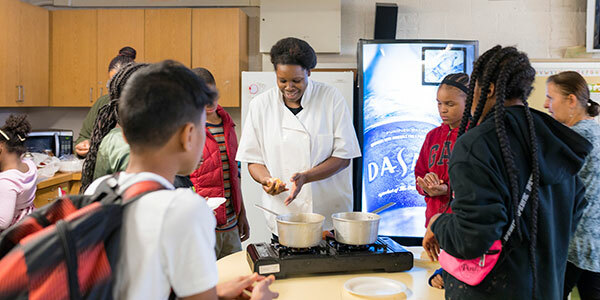 Bringing in community members to lead the clubs gives students and teachers a chance to meet a wide range of professionals and learn more about the people in the community and Milwaukee area, according to Evans. The clubs are happening along with professional development for teachers during in-service and staff meetings. 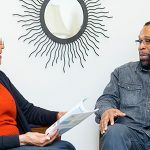 Evans is working with a grant team that includes UWM faculty, doctoral students, and culturally responsive fellows, who are teacher leaders within the 12 MPS schools. Glenn Carson, a school-community liaison from United Way, joined Evans and teachers in seeking out coaches, business owners and other professionals from the community to lead the clubs. 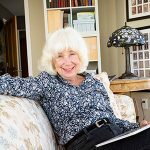 “As the community-school liaison, Glenn has had a tremendous impact on introducing Hopkins-Lloyd to rich and varied community partners, she says. 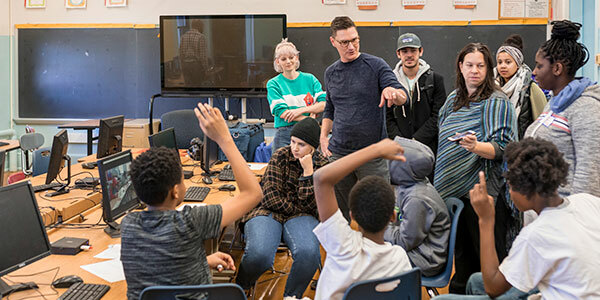 “What’s really effective about CLUBS is that it’s a diverse group of community partners that are introducing the students to new things — one of our tenets is that we are going to be open to trying and learning about new things. Another tenet is that we are going to explore multiple perspectives, that we don’t just see the world in one way, that we can live alongside other people’s perspective.” The dance club, for example, incorporates hip-hop, ballroom dancing and salsa. The third tenet, says Evans, is that the students have an integral role in planning, designing and evaluating what kind of clubs they want. Some of the fall semester clubs will continue; others won’t. New clubs for popular subjects like coding and web design may be on the list. “There’s a lot of interest in sports – some you might not think about like lacrosse and tennis,” says Evans. One of the rules of the clubs is that students commit to the same club for five weeks, but they can try something new each trimester. All Hopkins Lloyd students kindergarten through eighth grade fill out a request form with first, second and third choices. Evans is researching the impact the clubs have – documenting the students and the community members’ experiences. 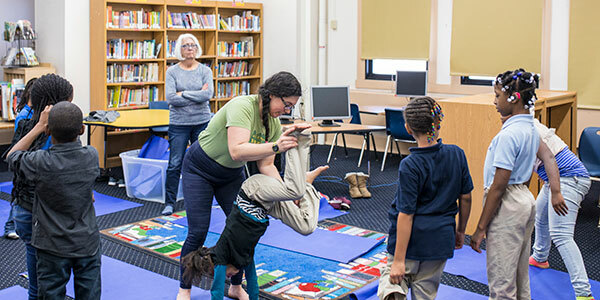 One goal is that by working with community members from soccer clubs, yoga studios, film students, and others the students can see new possibilities for their futures, she says.